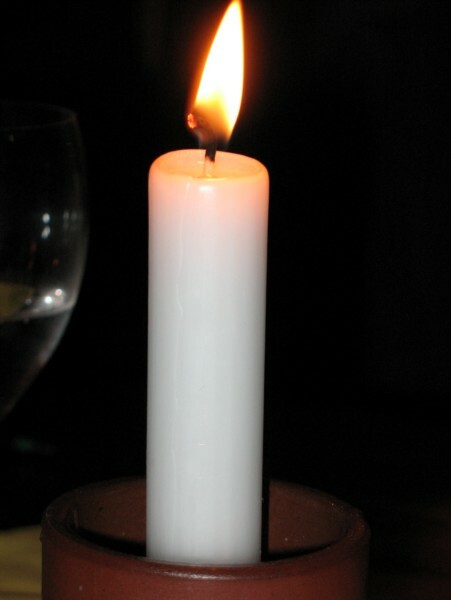 A candle is a source of light and heat, consisting of a solid block of fuel and an embedded wick. Candles are mostly made from paraffin, and are also from beeswax, soy and other plant waxes. Before the advent of electricity, candles and oil lamps were used for illumination. Now candles are used in religious and other common ceremonies.